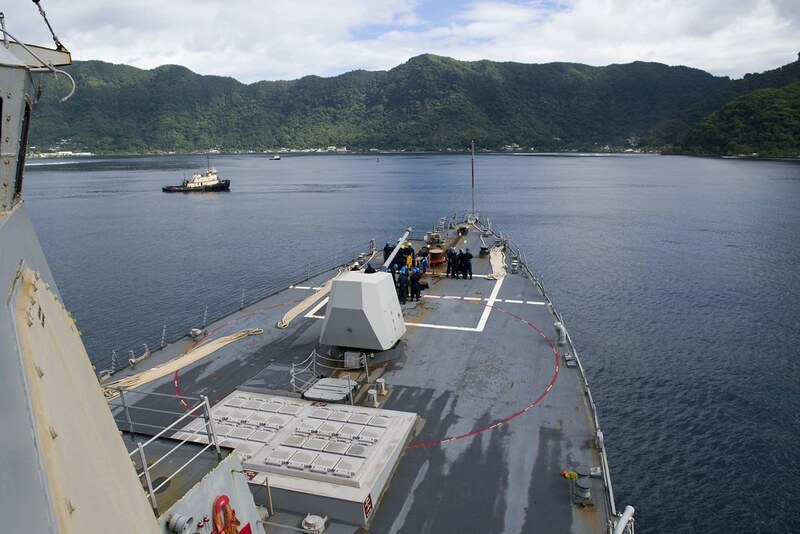 PAGO PAGO, American Samoa - The guided-missile destroyer USS Shoup (DDG 86) arrived in Pago Pago, Oct. 27, as part of the ship’s Oceania Maritime Security Initiative (OMSI) deployment. OMSI is a secretary of defense program that leverages Department of Defense assets transiting the region to improve maritime security and maritime domain awareness, ultimately supporting maritime law enforcement operations in Oceania. 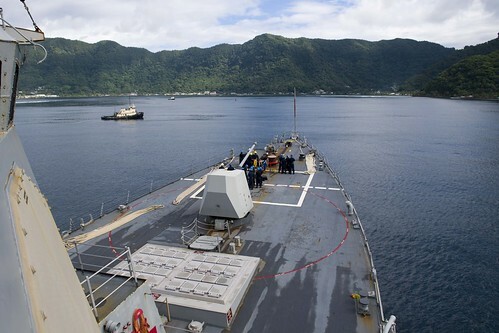 Shoup last pulled in to American Samoa in 2006. 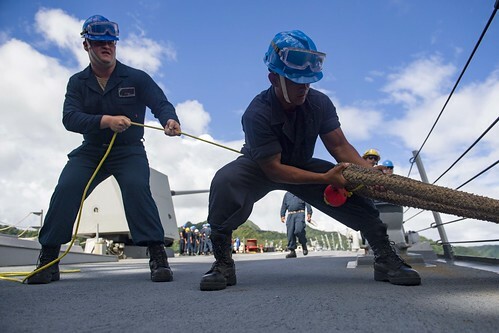 During this visit, Shoup Sailors will have the opportunity to give back to the locals by participating in several community outreach events including visiting a local elementary school and playing sports. 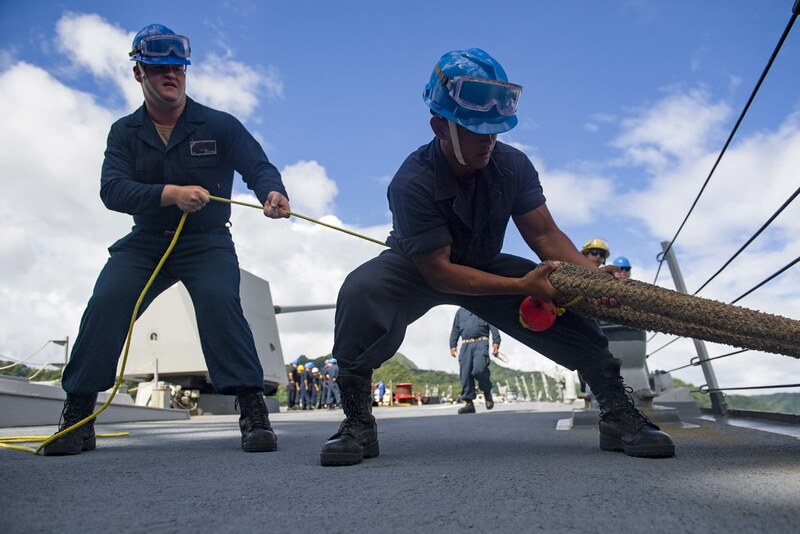 Commander, U.S. Third Fleet leads naval forces in the Pacific and provides realistic, relevant training necessary for an effective global Navy. They coordinate with Commander, U.S. Seventh Fleet to plan and execute missions based on their complementary strengths to promote ongoing peace, security, and stability.